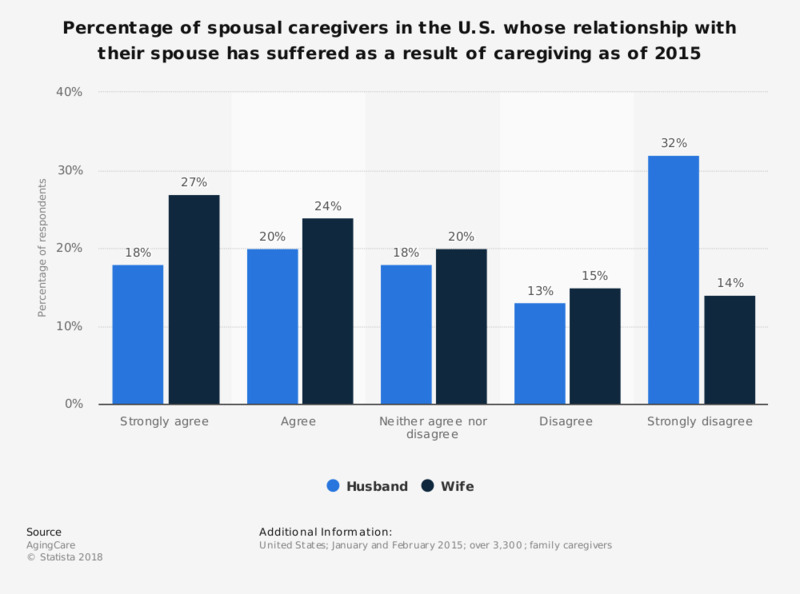 This statistic presents the percentage of spousal caregivers in the U.S. whose relationship with their spouse has suffered as a result of their having to act as caregiver to their spouse as of 2015. It was found that over half of wives who acted as caregivers to their partner agreed their relationship with their spouse has suffered as a result of this caregiving role. Original statement: "My relationship with my spouse has suffered as a result of my caregiving." Everything On "Caregivers in the U.S." in One Document: Edited and Divided into Handy Chapters. Including Detailed References. Statistics on "Caregivers in the U.S."
Nursing homes in the U.S.
With whom will you watch the 2012 Summer Olympics?